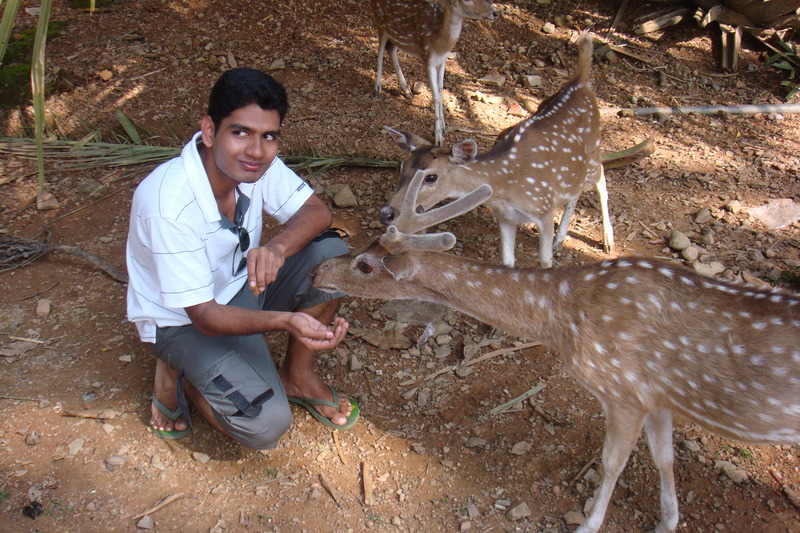 The last family tour that we had was to the foot of the breathtaking Himalayas in Manali in the summer of 2008. My preparations for the civil services exams meant that we didn’t get time for planning another after that. We decided to plan for a getaway right after my mains. As it would be December, North India was out of the choice. 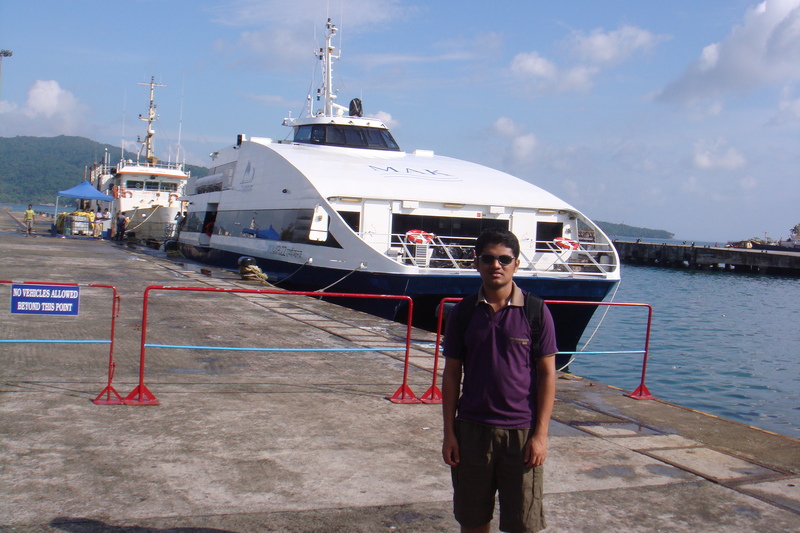 Finally we decided to visit the Andaman and Nicobar Islands. We had done all the hotel bookings and had completely planned the tour through Andaman Holidays, a tour agency i found in the internet. As various ferries have to be booked for the journey to the other islands, it is advisable to book everything in advance through one of the many tour agencies based in Port Blair. The Islands have a very interesting and an action filled history. A good idea about the island parallel histories, one starting when the first wave of humans moved out of Africa and the other starting with Lt. Blair of the British Navy surveying the island for setting up a penal settlement will enrich the experience of visiting this place. I found this book very helpful and informative in that regard. Our Plan was to base ourselves in Port Blair and visit small islands around it and one other major island for an over night stay. 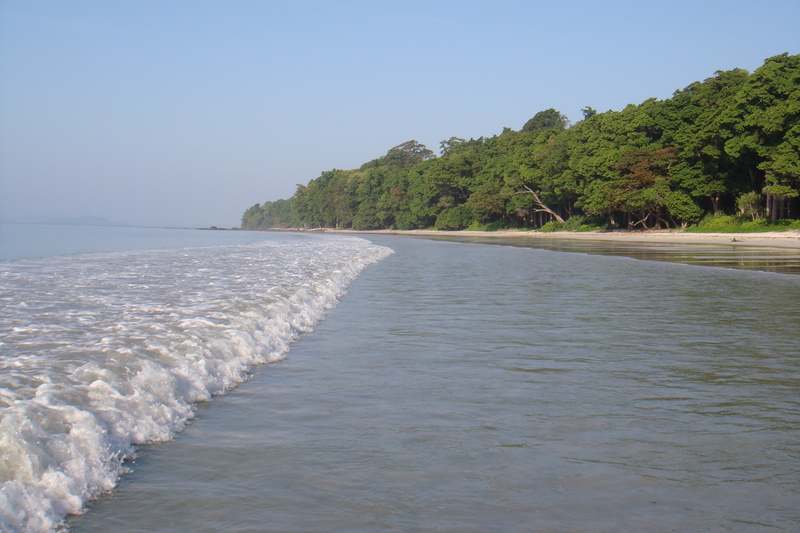 We chose havelock island to be our second destination. Andaman is connected by sea and air to Chennai and Kolkata only. Both cities are almost equidistant from Port Blair. The sea journey would take around three days. No luxury ships are available and one has to book for cabins in one of the passenger ships catering to the needs of the local population. We had made a similar journey during our trip to Lakshadweep. The cabins were comparable to the coupe in railway coaches and the bathroom was so narrow that it was an ordeal doing your daily routines. Besides, three days would both bore and tire you. So we decided to go by air. We started on 10th night from palakkad and reached Chennai station on the 11th morning. Forget about freshening up in Chennai central as there is only a small waiting room and a few bathrooms catering to one of the busiest station in India. You can get volvo buses right at the front of the station. The plight of the bathrooms in the domestic departure terminal in Chennai International airport is also pathetic due to the construction work going on. Hope it will be solved once the construction work ends. The flight just 2 hours and the Kingfisher flight was both economic and pleasant. As one approaches Port Blair, you can see the beautiful islands as emerald spots on the blue sea. Only a few island are inhabited. Beside, 80% of the land area is under forest cover. So the view is truly breathtaking. Try to get window seats in the flight. We were welcomed by a sudden burst of rain as we stepped out of the flight at the Port Blair airport. Though December is infact the best time to visit the islands and is the peak tourist season, the rains were totally out of schedule this year. The sudden rain did cast a shadow on our plans. Being volcanic in origin, the topography is more like what you see in a hill station. Its more like you are on the top of a submerged mountain. One can do a few shopping. There are shops run by govt. cooperatives. Try to buy from those. 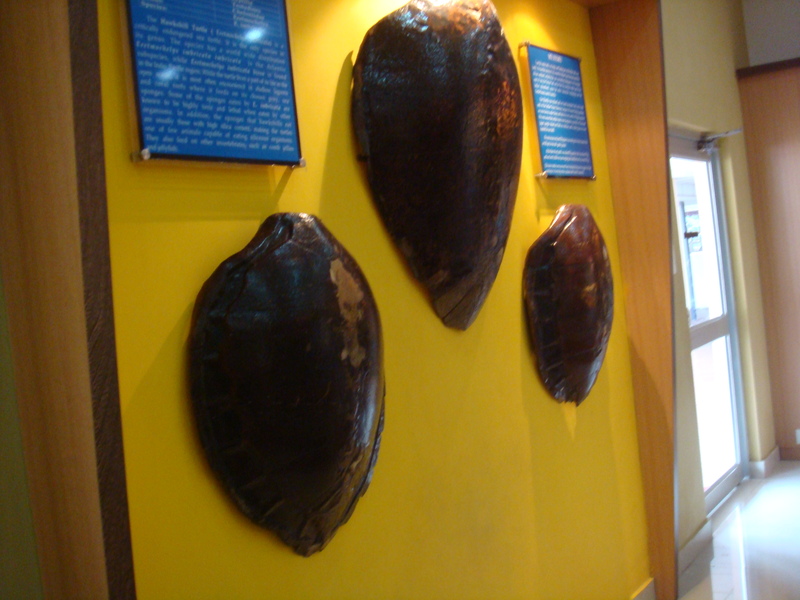 A few museums run by various govt agencies gives you an idea about the marine life and the history of the islands. 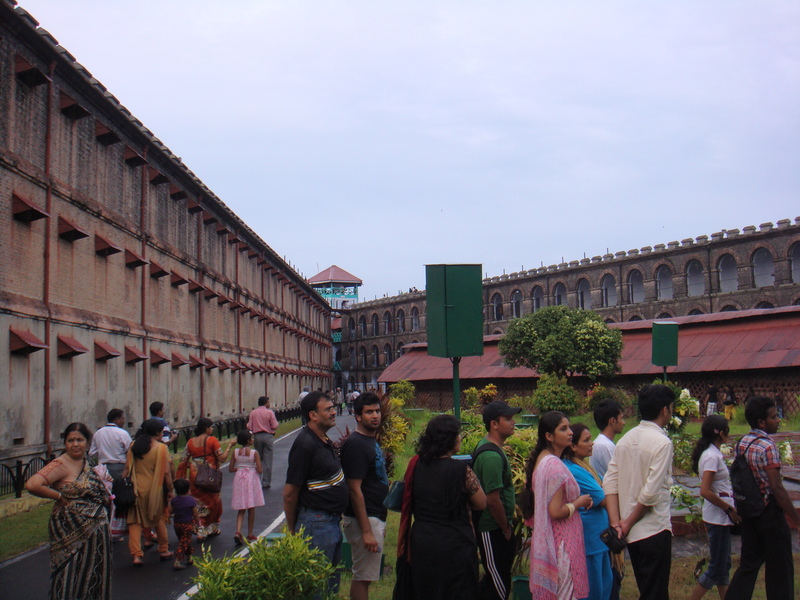 The first image that comes to the mind of any Indian when thinking about Andamans is the Cellular jail. The imposing structure, standing on the highest point in the island has become the symbol of the resilience of our national movement. 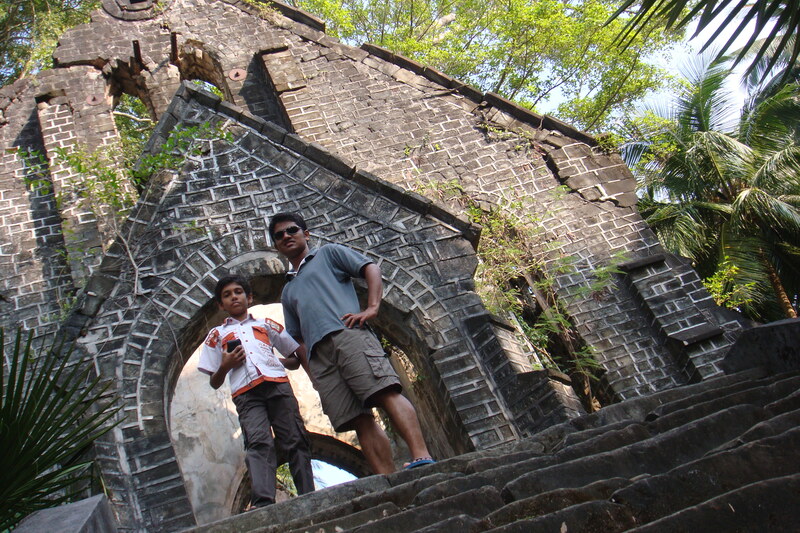 The ASI has done a commendable job in preserving the structure as such. 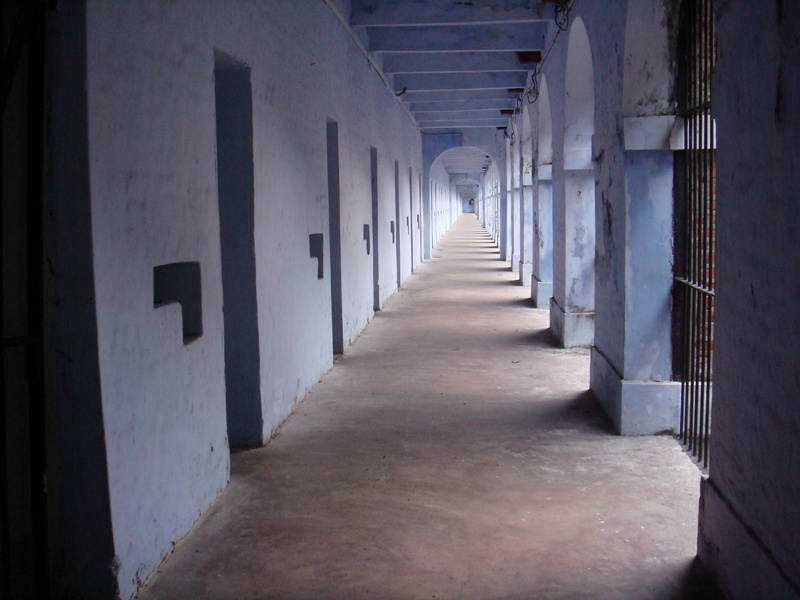 One can still feel the chill of the pain borne by the political internees when walking through the corridors of the jail. 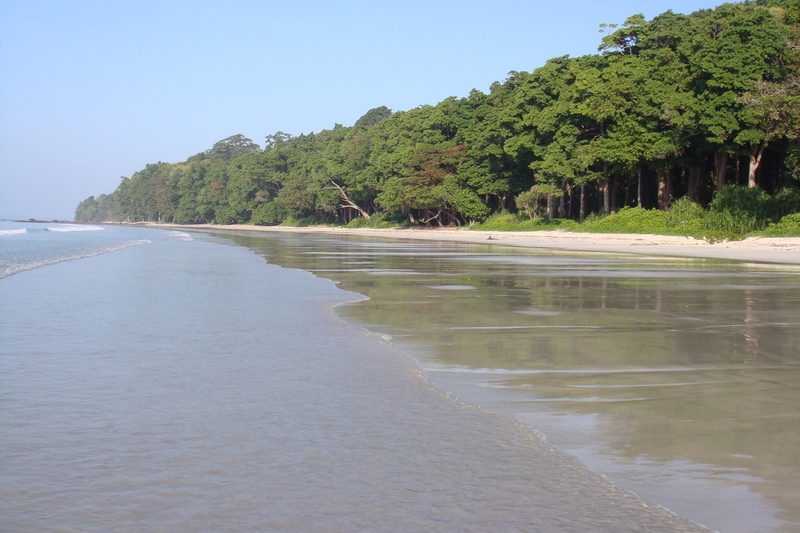 The next stop for us was the Havelock island which was about 50 kms away from Port Blair. There is a govt operated ferry connecting the two islands. But we chose to go by the private ferry MV Makruzz which was faster and more comfortable. 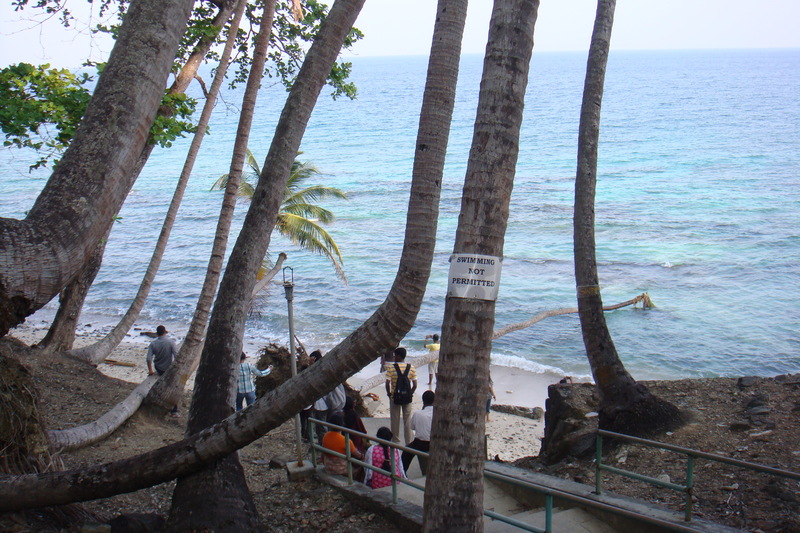 Havelock is a tourist island and is one of the favourite destination of foreign tourist. 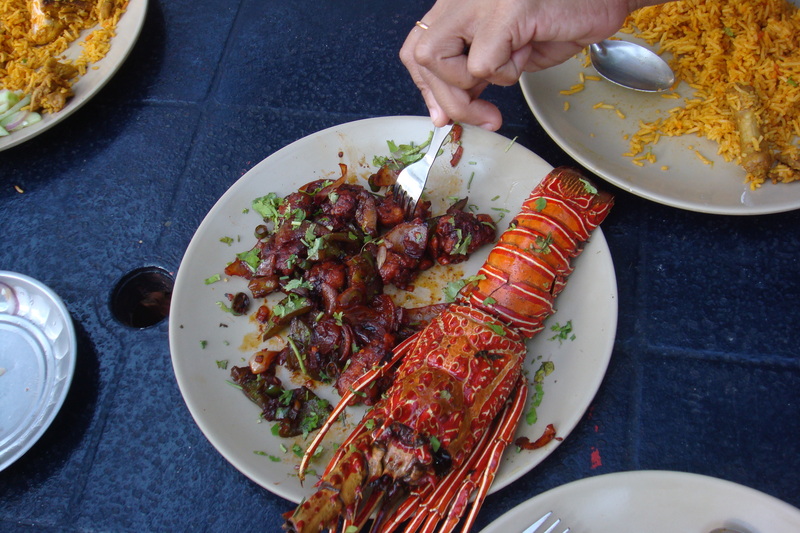 Being so, everything from the average biriyani to room rent in hotels is costlier than in Port Blair. The stay in Havelock was undoubtedly the best part of the tour. We stayed at the Barefoot resorts. The rates were quite high we went as the season was beginning, but it gives good value if one goes during off-season. The location of the resort could not have been better. Its located at the beautiful Radhanagar beach. The beach itself is a very long one and only the tourists come to one end of the beach. The resort is towards the other end. So its essentially like a private beach. You can have the whole beach almost for yourself. The beach is bordered by thick lining of trees. The resort is carefully huddled within these trees. The cottages were built with local wood but was highly luxurious. All parts of the resort was connected by stone payments alone and once darkness falls, you are guided only by the small torch kept inside the rooms. We got up early the next day and made it to the beach to find ourselves to be the only living souls in one of the most beautiful beach i have ever been to. I feel that alone justified the otherwise exorbitant rates charged by the resort. 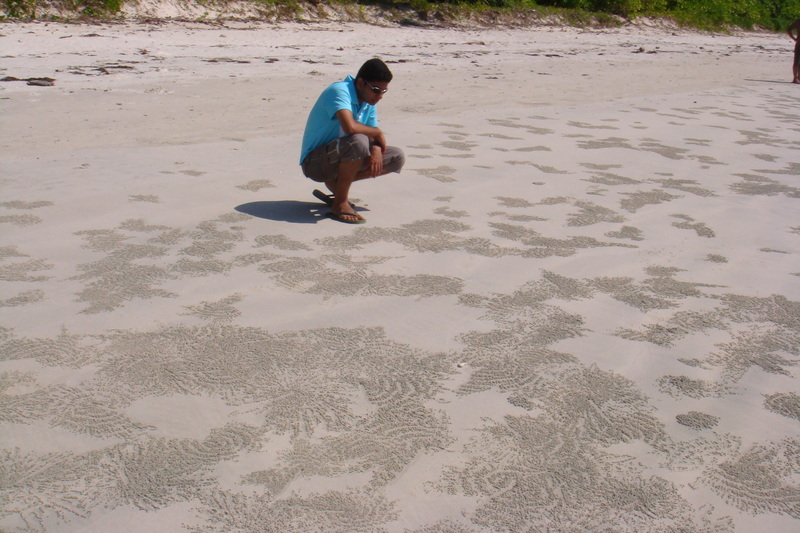 We were bewildered to find the whole beach dotted by small clusters of sand balls forming amazing patterns. It was as if the sea goddess had created ‘kolam’ with sand or martians had visited the beach in the night and left their ‘signs’. But the sight of the small crab-lings crawling out of the tiny holes at the middle of each pattern brought me back to reality. The pattern was created by thousands of crabs hatching. Our next destination was the abandoned British capital of the islands, Ross Island. It is just 40 minutes away from Port Blair in normal ferry. 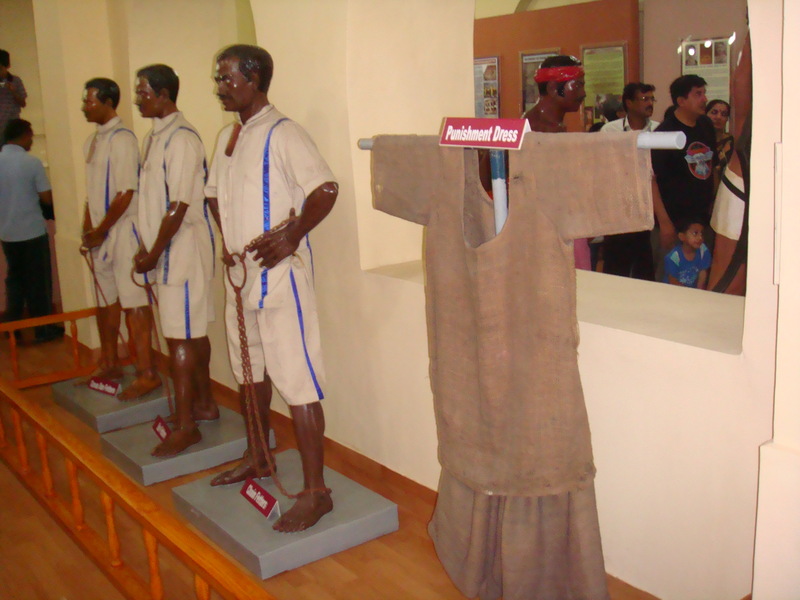 The island was the administrative capital and the military HQ of the islands until the Japanese occupation in 1942. The island and its structures were heavily damaged by allied bombings during Japanese occupation. Although British forces reoccupied the islands after the surrender of Japan in WWII, the Island never regained its lost glory. 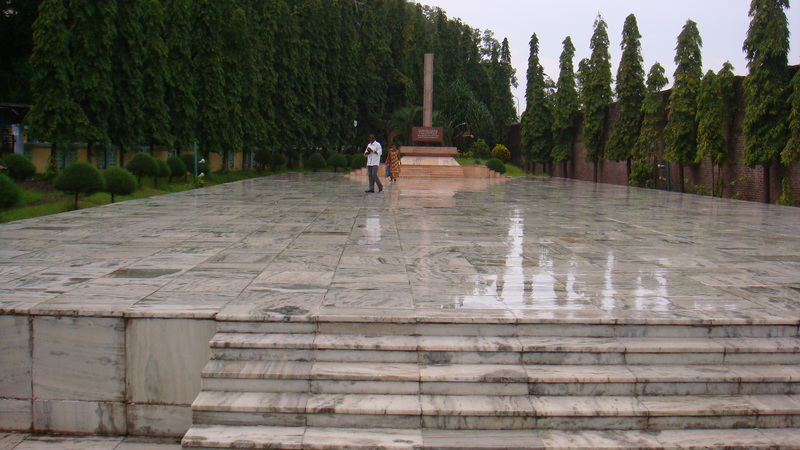 Following independence, the new Indian administration shifted the capital to Port Blair. 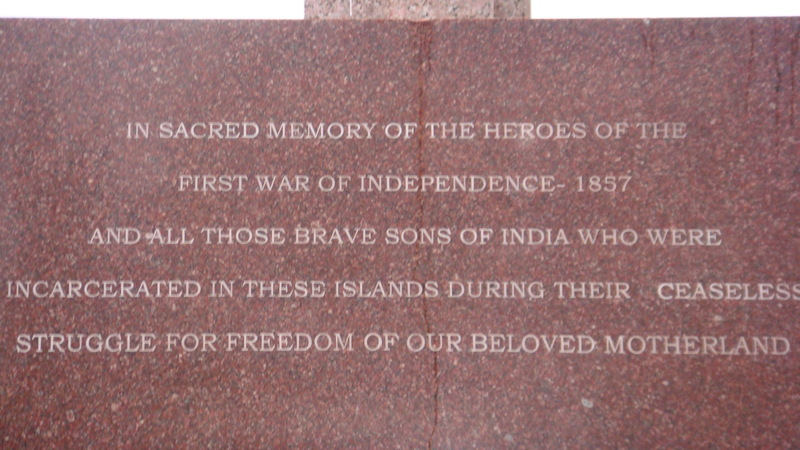 The Ross island is today under the authority of the Indian navy. Navy divers competed with the ferries in crossing the channel. A portion of the island is cordoned off as naval area. The island is well maintained and a winding pavement connected all structures. 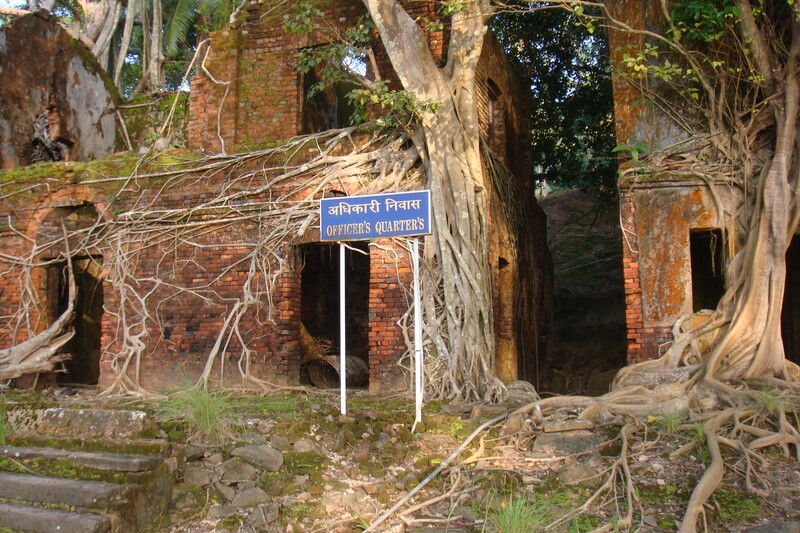 The british structures have not been restored and is in a highly dilapidated situation. There was very little to be restores after the incessant bombing by the allied forces. 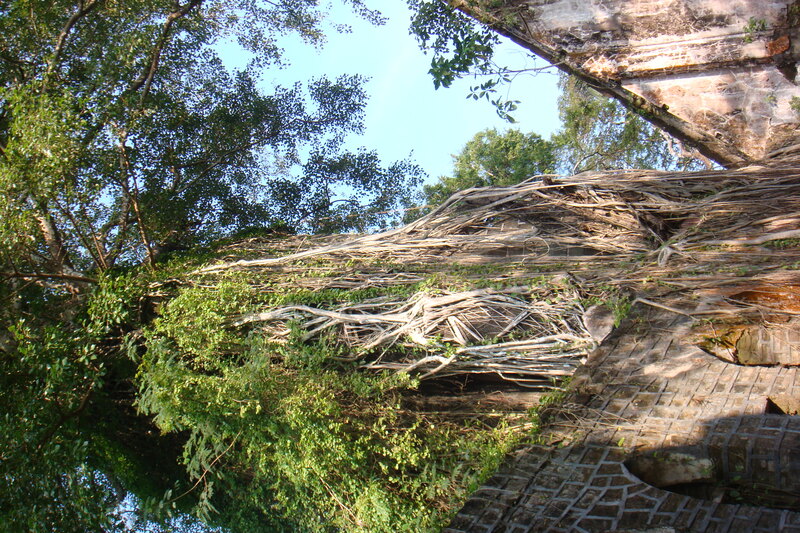 Huge trees have grown on the walls and one wonders how long the walls would stand. There is a very small cafeteria in the middle of Ross. That was by far the smallest restaurant that we found offering lobster. So we ordered two for lunch. There is a small beach on side of the island. But it has been rendered unfit for swimming by the 2006 Tsunami.